This is the third article in a special series of studies by JISS experts to mark Israel’s 70th anniversary. The series examines Israel’s diplomatic and defense achievements in grand strategic perspective. Traditionally, three elements – deterrence, early warning, and a decisive outcome – are counted as the pillars of Israel’s defense doctrine and national security strategy. Some would add, nowadays, defensive capabilities. As early as David Ben Gurion’s era, the need for technological superiority was identified as a central pillar by its own right. Less common, but vital, is the recognition of alliances and strategic cooperation as the sixth pillar of Israel’s security concept. Under this broad title, three different categories of alliances can be discerned – which are interrelated in many important aspects. The first is the reliance on a major power as a patron, whose support can have far-reaching implications. The value of such great power commitment resides in the realm of military assistance as well as in the diplomatic field – and as a vital derivative, it helps “set in stone” the realization among active and potential enemies that Israel is an establish fact that they cannot defeat or undo. The second category is that of the system of affinities and partnerships with regional power players, who face the same powerful enemies as Israel does and thus have an interest in standing together against them. The third category involves the establishment of cooperative relations and arms sales agreements with countries further afield. 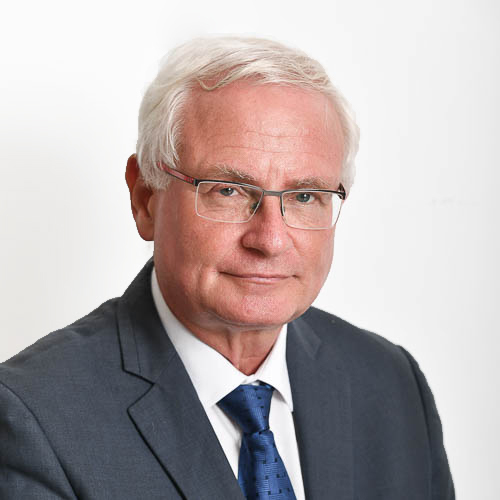 Such interactions are important for Israel mainly in terms of finding export markets – vital to the existence of the defense industries, which in turn are among the foundations of Israel’s military strength – as well as in the field of intelligence sharing. Beyond that, in the realm of “soft power,” the explicit demonstration of close relations with countries around the world demonstrates to the Arab side (and today, to the Palestinians) the failure of their strategy, which has focused upon isolating Israel and enforcing a diplomatic siege upon her. The three categories of alliances are indeed interrelated. Israel’s standing and influence in Washington plays a major role in helping Arab countries with which Israel has common interests, such as Egypt and Jordan. They have come to rely on Israel’s friends in the legislative battles over the aid package. The other side of the same coin is that Israel’s partnership with key regional players, such as Saudi Arabia, makes it easier for Israel to argue its own case with the major powers. The shift towards greater cooperation with important parts of the Arab world also has had a direct impact on Israel’s ability to foster closer relations with countries in Asia, Africa and Latin America. And Israel’s judicious management of the conflict with the Palestinians is useful (mainly by reducing irritants and negatives) in sustaining cooperative arrangements with NATO, in the Mediterranean basin and in the international arena at large. Since its very inception, the Zionist Movement has sought to secure the support of the “community of nations.” At the decisive moments it has succeeded in doing so, alongside some bitter failures (such as the British “White Paper” of 1939 and the betrayal of the League of Nations mandate). At the crucial window of opportunity that made it possible to see the state established, between 1947 and 1950, there was significant weight to the open diplomatic backing and the indirect military support of the USSR, even if the temporary and manipulative nature of this Soviet position was manifest. In later years, during the 1950s and ’60s – until the breach with De Gaulle during the 1967 crisis – the near-alliance with France was of vital importance. Still, as it turned out, once the Algerian War was over, French ardor for this “bridge over the Mediterranean” quickly chilled. The lesson learned from this French experience was not a return to “a people that dwells alone”, but rather the establishment of a strategic relationship with an even more important power – a relationship that rests on more than a fleeting common interest. This is the essence of Israel’s “special relationship” with the US, which is rooted in the interlocking foundations of the affinity of values, the commonality of interests – facing the same enemies, and the reach and influence of American Jewry and of other important supporters in the public domain. This relationship bears extensive fruit in the form of military assistance and many other cooperative projects, as well as strategically important diplomatic backing at the highest level. For the foreseeable future, this special relationship will continue to serve as a cornerstone of Israeli national security. Still, the US is no longer the only factor in the cooperative equation. 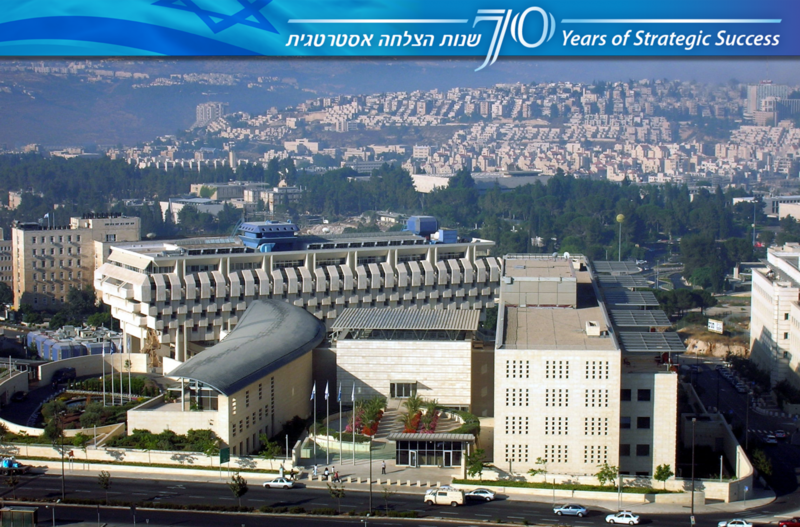 In the second category, as defined above, Israel benefits from the growing importance of cooperation at the regional level – as was the case in the late 1950s. Back then, it was the “Trident” peripheral alliance with Turkey, Iran (under the Shah) and the Ethiopian monarchy, which was built to withstand the assault of Nasserism and Arab nationalist forces backed by the Soviet Union. Today, it is possible to speak of a deeply-rooted commonality of interest between Israel and an important camp of Arab states – particularly Egypt, Jordan, the UAE and Saudi Arabia (in the age of Muhammad bin Salman), as well as significant non-Arab regional players such Azerbaijan and the Kurds. Together, these forces – and Israel – face Islamist totalitarianism, and especially the revolutionary regime in Iran. At the same time, Israel is also steadily building ever-tighter relations – in the military realm and in a range of other aspects – with Greece, Cyprus and other like-minded nations in the Eastern Mediterranean, who share a common concern in the face of Turkey’s ambitions and orientation under Erdogan. Israel’s achievements in recent years in this field of regional strategic cooperation are impressive and indicative of where things may be headed. In parallel, and closely linked to the first two categories, breakthroughs have been noted in the third category of alliances as well. This is particularly true in the Asian arena – first and foremost in India – but also via a vital and long-standing cooperative framework with Singapore; the more recent removal of barriers obstructing security cooperation with Japan; the profound friendship with Australia; and the dramatic growth of defense exports to the Philippines and Vietnam. Progress has also been recorded, and the Israeli presence enhanced, in relations with NATO, as well as in bilateral security relations with Germany and others in Europe (particularly in the east and south). The prime ministerial visits in Africa and Latin America add to this list, which overall serves to underline the failure of those who sought to isolate Israel. 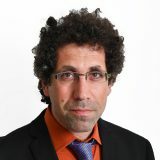 These cooperative links, too – like the special relationship with the US and the regional frameworks – require Israel to be on its guard, to deliver on its promises, and to sustain long-term and well-designed diplomatic efforts; and to the extent possible, to maintain effective conflict management with the Palestinians. (As recent events indicate, on the Gaza border this is not always possible). All this, put together, will have a direct and prolonged salutary impact on Israel’s international standing. The participation of military aircraft from Canada, Greece, the UK, Italy, Poland and Austria in the flyover which was part of Israel’s 70th Independence Day celebrations, can be viewed as a symbolic, but important, reflection of the emerging reality of security cooperation between Israel and a range of players in the international arena. These are not formal treaties – not even with the US – but cooperation is extensive, warm and mutually beneficial. This is expressed also in several joint military exercises – including the biannual Blue Flag international air force exercise, recently held at the Ovdah Air Force Base in November of 2017. This time it was attended by seven nations – the US, Germany, France, Italy, Greece, Poland and India. To this list of activities should be added various assistance, training and procurement projects, as well as mutual support in the face of natural disasters – such as the Carmel fire (when quite a few countries came to Israel’s help) and the deployment of IDF medical and rescue teams to Haiti, Mexico and other nations. All this broadens the basic definitions of Israel’s defense doctrine. It has been a common practice – since Ben Gurion’s presentation to the cabinet in 1953 – to refer to deterrence, early warning, and a decisive outcome as the three pillars of this (informal) doctrine. Today, many would add a fourth pillar, namely defensive capabilities. A fifth was identified by Ben Gurion early on – the need for technological superiority and the military application of Israel’s scientific achievements – as being equally vital for the country’s survival. Less common, but quite necessary, is the reference to alliances and cooperation patterns (some overt, some not) as the sixth pillar of the defense doctrine, from Israel’s inception to this day. From the beginning, the Zionist project – as the national movement of the Jewish People – defined its ambitions in terms which refer to its place in the global diplomatic order (“Under the Law of Nations”) rather than to the prophecy of Balaam (“And shall not be reckoned among the nations”). Ben Gurion himself, despite his famous dictum – it matters not what the Gentiles will say, it matters what the Jews will do – knew all too well how important this aspect can be and dedicated the best of his abilities to the art of international statecraft. This is attested to by his sense of existential doom on the eve of the Six-Day War, which he brutally shared with the Chief of Staff, Yitzhak Rabin – whom he berated for the suicidal folly of going to war with no backing from a major power. He was wrong this time: the impressive military victory was gained without any external help, not even supply during the fighting. Still, the IDF’s achievements in 1967 were to some extent based on the maximal utilization of previous qualitative procurement from France over more than a decade; and they stand out, in any case, as the exception that proves the rule. During its years of fighting for its existence, Israel has been able at a number of decisive points to garner vital support from global powers which shared common interests with it and for whom Israel could be of some assistance. Such reliance can be defined as the first, and most vital, category of alliances and cooperative relations. 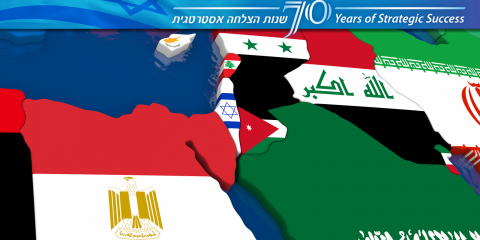 A second category, quite important over the years, has to do with patterns of mutual assistance between Israel and other regional players – once mainly in the periphery, but now even in the core of the Arab world – due to the need to stand together against powerful enemies. A third category, interwoven with the other two, affected by them and to some extent affecting them, has to do with close relations with other nations with which Israel has built up relations involving arms procurement, intelligence cooperation and other interactions, military and economic. Such relations are also of use in undoing the Arab (and today, the Palestinian) strategy of isolating Israel and placing it under a diplomatic siege. During the War of Independence – specifically, at the critical moments when the newly-born Israel faced the invasion of several Arab regular armies – significant amounts of Czech weapons arrived and made a difference. They were supplied with Stalin’s implicit support. It is not quite accurate to speak in this context of an “alliance”: The Soviets’ after all, did not hesitate to court the Arab side during the san Francisco Conference in 1945, in a failed effort to run the British out of their mandatory position. Moreover, just a few years after the state was born, Stalin was already vehemently persecuting Zionists and Jews alike. He was at the threshold of exile and exterminatory plans, which were only foiled by his death in 1953. The basic position of the Communist Party towards Zionism remained hostile. Still, in the short window of opportunity between Gromyko’s stunning speech at the UN in support of a Jewish state (May 1947), and Ben Gurion’s decision to stand with the US on Korea (June 1950), the USSR and the Zionist movement did have some common goals. Both sought an end to the British mandate, the establishment of a Jewish State (which the Soviets hoped would be socialist in orientation) and the defeat of the Arab armies – which both came to see, rightly or wrongly, as the long arm of British policy in the Middle East. All this was translated into indirect military support, overt diplomatic backing, and expressions of sympathy in the Soviet press that to later generations would read like a hallucination. Still, Ben Gurion himself never doubted for a moment (and he said so to Bevin as early as in 1946) that at the moment of decision, Israel would find herself in the western camp – if only because of the importance he attached to the role of American Jewry, which unlike its Soviet counterpart, had a real imprint on the decisions of both the Administration and Congress in Washington. In the early 1950s, Ben Gurion did all he could to achieve a formal treaty of alliance with the US, or to forge an association with NATO. Yet Truman, despite his basic sympathies, and even more so Eisenhower and his predominant Secretary of State, John Foster Dulles, all saw Israel as a liability, not an asset, at the strategic level. As Michael Doran shows in his fascinating book on Eisenhower’s Middle Eastern policy, the US chose to build up relations with the rising tide of Arab Nationalism, even at the expense of the traditional American commitment to support British interests – let alone at the expense of Israel. Even under these circumstances, Ben Gurion was able to forge an alliance with a major power on which Israel could rely. This was due to the growing hostility between France on the one hand (led at the time by Social Democrats who had moral affinities with Israel) and Gamal ‘Abd al-Nasser and pan-Arab nationalism. This hostility grew worse as the Algerian War escalated after 1954. French arms, secretly supplied, laid the foundations for an Israeli response to the Czech (i.e., Soviet) deal with Egypt. In 1956 Israel acted in collusion with Britain and France, to achieve an early decisive outcome – and perhaps to bring about the overthrow of Nasser’s regime. Eisenhower’s angry response, and a loss of nerve in London, led to the failure of the entire adventure – and cast doubts on the wisdom of such an alliance with the spent forces of European colonialism. Nevertheless, this bond with France – which one Israeli writer called “A Bridge over the Mediterranean” – gave Israel the main tools which enabled it to confront the rise of Nasser, inflict a heavy military blow on his forces, and acquire military and strategic capacities which secured its survival in a hostile environment. These capabilities were central to its supreme victory in the Six-Day War. Despite the lingering anger caused by De Gaulle’s “betrayal” of Israel amidst the 1967 crisis (when the common interest was no longer there – Algeria having won its independence in 1962), it should be remembered that at its high point, the partnership between the two states truly resembled a full-fledged alliance, and guaranteed Israel’s existence during years in which it did not yet enjoy the position it now holds in Washington. The real lesson of the French experience was not that Israel can and must rely on herself alone (and on Providence). It actually proved that a bond with a major power is vital. At the same time, it indicated that a steady and durable alliance with a power must rest upon more than mere sentiments and one fragile and fleeting factor (in this case, the common enmity towards Nasser). It needs to have strong political moorings on both sides. This insight is now well reflected in the format of the “special relations” with the US (a phrase coined by Kennedy back in 1962). They can be described today as a foundational element of Israeli national security, and as a de facto alliance. This strategic partnership is not anchored in a treaty, which would require ratification by the Senate; but it is embodied in several acts of binding legislation, which gives Israel a unique status under US law, and requires the Administration to confirm that Israel enjoys a Qualitative Military Edge (QME) over any likely combination of threats. More than thirty years ago, Israel was designated a “Major Non-NATO Ally”. More recently, the SPA and its successor resolutions defined Israel as a “Special Strategic Partner”, enjoying extensive privileges. The resilience of these relations – what makes them “special” – flows from the way they are rooted in three interlocking foundations. These have been summed up, at times, as V.I.P. – values, interests and politics. Together, they shape the attitudes of the Administration, of Congress, and of the public at large towards Israel. To begin with, the moral and historical foundations run deep and are rooted in aspects of American national identity. (Vice President Pence gave this dimension an ardent description in his speech at the Knesset on January 22, 2018). It includes biblical references, which still resonate in a nation which emerged from Protestant dissidence and has a very large evangelical population. For them, the rebirth of Israel proves the validity of a dispensationalist reading of the Good Book as a guide for our times. Many Americans also see affinities in the manner both nations fought for their freedom and survival. To this should be added the impact of the memory of the Holocaust, which is now firmly embedded in the school programs as well as in the work of Hollywood. The nature of Israeli society – democratic, open, dynamic, and today also firmly committed to free market values – is another contributing factor. To all this should be added Israel’s willingness – much appreciated by Americans – “to defend itself by itself.” Affirming its right to do so is a formula that has become a feature in speeches by presidents on both sides of the aisle – including Obama. Israel seems to have up Churchill’s slogan – “give us the tools and we shall finish the work” – but at variance with the British, this pledge was largely kept. Israel never asked for US troops to protect her. The sole exception is the deployment of “Patriot” batteries in Israel in 1991 and 2003, but in those cases, it was the US which suggested the upgrading of Israeli defensive capabilities, so that Israel would not feel bound to join the offensives against Saddam Hussein’s Iraq. This angle of the relationship, backed by the IDF’s willingness and ability to act when necessary, has left its mark on the way American soldiers at all levels and from all services have come to view Israel as a friend and an asset. The days when the DoD establishment led a venomous anti-Israeli line (under Truman in the famous discussion in May 1948, and even more so under his successors) are now firmly over. Today, this new attitude has acquired a unique significance. American society may be showing signs of fatigue and frustration with the “Long War”, which began after 9/11 and placed the US at the frontier of the war on totalitarian Islamism. Seventeen years later, it is still far from over. Still, social and political attitudes towards all those who wear uniforms have changed dramatically since Vietnam. The blunt criticism of the political echelon, in today’s polarized discourse, does not flow over into the military ranks. Thus, it is more important than ever for Israel to nourish the mutual commitment which makes Israel highly popular among today’s US officers at all levels. This is relevant both in terms of the affinity of values and in the recognition of Israel as able to present solutions for the daily threats to US forces in Afghanistan and elsewhere, such as the problem of neutralizing IEDs. The second distinct foundation of the special relationship is thus anchored in common interests – another way of saying that the two countries effectively confront the same enemies. This is the reason why the interaction with the US was only established at its present parameters after the Six-Day War, which demonstrated Israel’s military might and strategic utility. Well before that, Israel sought to prove its worth to the US – inter alia, by securing the text of Khrushchev’s secret speech on the crimes of Stalin, in 1956. Still, it was only when it emerged as a regional power, and beat in battle two well-equipped Soviet clients, that the US (under Johnson) became more convinced that cooperation would be beneficial for both. During the war of attrition, and even more so in the Jordanian crisis of 1970, Israel proved able and willing to harm Soviet interests and defend US assets in the cold war. In 1973, not without debate and delay, an airlift to Israel was launched while the war was raging (but drawing to a close). In retrospect, this had a decisive impact on Sadat’s decision to defect irretrievably from the Soviet Camp to the American orbit, as well as to put the conflict behind him and seek peace with Israel. This element of the special relations, which was supposed to be eroded at the end of the Cold War, has in fact grown closer since then. The implicit threat of Middle eastern tyrannies, followed by the long and difficult struggle against Islamist terror in its various forms, led the US once again (this time, with the military and intelligence communities fully supportive) to appreciate the benefits that would flow from closer relations with Israel. As serious fissure did open up due to President Obama’s pursuit of a nuclear deal with Iran and the conclusion of the JCPOA, it was not only the rift over the deal and its components which led to rising tensions between Jerusalem and Washington. Prime Minister Netanyahu also shared the concern raised by several regional leaders that Obama no longer accepts their interpretation of the Iranian strategic threat and of its intensity. In this respect, things have now turned around and returned to older patterns; it is difficult to discern any difference between the way Israel looks upon Iran and the positions of the senior national security establishment in the Trump Administration. This is even more apparent after the appointments of Mike Pompeo as Secretary of State and John Bolton as National Security Adviser, and the “nixing” of the JCPOA. Both have played leading roles in the campaign against Obama’s policies. Secretary of Defense Mattis, while more cautious, is a former commander of CentCom and as such is, almost by definition, attentive to the Saudi point of view. The third foundational element is one which is highly charged, complex but of vital importance in securing the special relationship is the organized power of American Jewry as a necessary “force multiplier” in the political arena. Also important are non-Jewish forces, equally friendly but less effectively organized, among the general American public. The roots of organized Jewish influence go back to what could be called the “darkest hour” of American Jewry. For many Jews, particularly those now holding high office in key organizations, the formative memories of their generation are not only the tense waiting days of 1967 but also the revelations, in several books in the late 1960s, about Roosevelt’s abandonment of the Jews of Europe (some of the State Department officials at the time were fully aware that their policies made them complicit in murder). The obvious conclusion – “Never Again” – was translated over the years into intense activism, both by the AIPAC lobby as the key organization on the Hill, and by the great variety of other Jewish organizations, national and local, who work to promote Israel’s cause (there were always marginal anti-Zionist groups as well – the American Council for Judaism in the past, and “Jewish Voices for Peace” now). The willingness and ability of American Jewry to exercise their influence in Washington – in particular on Capitol Hill, but also vis-à-vis the Administration and the public domain – are now among Israel’s sources of strength, both in America and beyond. At the same time, American Jews are not the only factor in the political equation, and their commitment to Israel is showing signs of erosion. The same is true of their influence in the Democratic party, which most of them vote for. It is now undergoing a shift to the “progressive” left when it comes to the attitude towards Israel (and more intensively, towards the policies of its government). Issues concerning the status in Israel of the non-orthodox denominations add to the difficulty. On the other hand, in the polarized American political landscape, the firm and steady support by “Trump republicans” is increasingly important. These include both “Neocons” who see Israel as a strategic asset and right-wing evangelicals who look upon Israel’s rebirth as the incarnation of the scripture. There is a deep interaction between the special relations with the US, which belongs to the first category of strategic ties, and Israel’s regional standing and her ties with key powers in the region, which belongs to the second category. One of the most striking implications of Israel’s political clout in Washington has been manifested, for more than a generation, in ongoing activity in Capitol Hill supporting aid for Arab countries, chief among them Egypt and Jordan. Israel ascribes great importance to their ties with the US as a primary anchor of the peace treaties with both. Israel also promotes the interest of its peace accord partners in political and diplomatic directly with the US administration, as well as in contacts with key countries in Europe and Asia. It is doubtful whether the scope of aid to Arab countries could have been sustained without the support of AIPAC and Jewish organizations. Arab leaders (including the Saudi heir to the throne and even the Emir of Qatar) reflect this insight when they systematically invest in keeping open channels of dialogue with leaders of US Jewry. This unique component of the balance of partnerships and alliances is not, in itself, a new element in Israeli history. As early as at the early stages of the Zionist enterprise, patterns of partnership – usually clandestine ones – were formed between the emerging Jewish national Home and some of its neighbors. Of special importance was the complicated relationship with the Hashemite house, originating in the Faisal-Weizmann Agreement of 1919 (– despite the fact that that agreement was never implemented, due to the expulsion of the Hashemites from Syria by the French the following year). Contrary to the allegation of some “New Historians”, no pre-designed outline for the fighting with Jordan was agreed-upon in advance of the War of 1948. Yet it is true that from the autumn of that year and onward, understandings existed between the parties which allowed Israel to direct the brunt of her fighting forces toward the Egyptian invaders. In 1958 (when Israel permitted the passage of British forces over its territory to Jordan, due to the domestic crisis taking place there) and in 1970 (when a credible Israeli threat contributed to repelling the Syrian invasion of Jordan), this partnership was of strategic importance long before the formal peace agreement between the two countries in 1994 (the war in 1967, followed by clashes during the war of attrition, can be described, paradoxically, as the exception , not the rule). Ben Gurion’s “Peripheral Alliance” in the late 1950s, embodied in the “Trident” agreement with Turkey, Iran and Ethiopia, is yet another example of this. The, as now, the urge to strengthen the mutual affinity with regional partners (using a broad definition of the region) stemmed from the identification of a common enemy. At the time, that enemy was Egyptian ruler Gamal ‘Abd al-Nasser, who, following the political feat of 1956 became a dominant and destabilizing political player, with increasing support from the Soviet Union. His involvement, from Algeria to Yemen, led to counter-involvement by Israel, in aid to pro-Western regimes, in more than one arena. Matters came to the point of Israeli arms being supplied to two Arab countries. The same was true with the Kurds in Iraq, it being no secret that they received a significant scope of aid from Israel (until Iran betrayed them in 1975 and the access routes were blocked). An additional aspect of the partnership stems from the common stance against the policy of Turkey and Qatar, which support the empowering of the Muslim Brotherhood and their ilk all over the Arab-speaking world. True, such affinities are still not translated into formal diplomatic change, beyond the current peaceful relations with Egypt and Jordan. It is doubtful whether this would change until a breakthrough is achieved with the Palestinians. However, the absence of embassies in Israel does not necessarily impair the ability (and the desire) to cooperate at the strategic level. On the most important political frontier – in the campaign for the positions of the Administration and of Congress in Washington regarding “fixing” or “nixing” the nuclear deal with Iran – Israel and the principal Gulf countries stand shoulder to shoulder and send the same basic messages (including the comparison of Khamenei to Hitler). Within this context, it may also be said that until the US administration changed, the deepening of the relationship between Israel and Saudi Arabia, let alone Egypt, was also significantly bolstered by the common feelings of angst which arose in Jerusalem, Riyadh and Cairo due to certain aspects of Obama’s “soft” policy, both toward Iran and toward the “Ikhwan” (the Muslim Brotherhood). This was dramatically demonstrated by Israel’s conduct on the question of the endgame during the fighting against Hamas in the Summer of 2014. There is reason to assume that had Israel been willing to leave that task – as was proposed by US Secretary of State John Kerry at that time – to Turkey and Qatar (whose Ministers of Foreign Affairs had “volunteered” to assist), this would have made it possible to shorten the duration of the conflict by several difficult weeks. At the same time, it would have concurrently granted that camp, under Erdogan’s dangerous leadership, a political-strategic position of precedence in the struggle for the region’s future. Israel therefore preferred (and still prefers) Egypt’s involvement as a key element – an insistence intended to prevent a political achievement for the forces effectively identified with one of the hues of totalitarian Islamism. The severe ideological and political tension between the Sisi regime and Hamas made it harder for the Egyptians to find effective levers of influence, but the Israeli military pressure eventually combined with the broader campaign for the region’s future and achieved the desired outcome. Alongside this unprecedented siding with key elements in the Arab world, and Israel’s de facto acceptance as a legitimate part of the “camp of stability” in the region, a new and different regional pattern has also crystallized in which Israel is finding her legitimate place. The growing strategic partnership between Israel and countries in the eastern Mediterranean basin is of great significance. All three examine the regional threats using the same worldview – what is referred to in the contemporary political jargon as “like-minded” states. This concerns, first and foremost, the complex and dynamic relationships with Cyprus and Greece. In addition to the tripartite dialogue and to periodical summit meetings, collaborative ties are also maintained with both these states in the military field with unprecedented attributes, including Israeli Special Forces drills in Cyprus and Air Force drills in Greece. 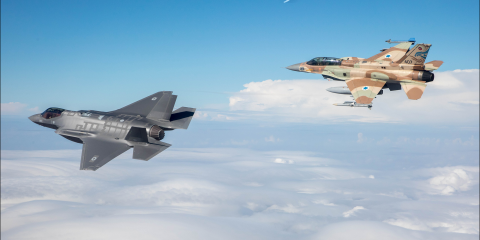 In February-March, the Israeli Air Force took part in the “Iniochos 2018” drill alongside Greek forces of all branches, as well as elements from the Air Forces of the US, Britain, Italy and Cyprus. Pilots from the UAE also participated in that drill, and did so without hesitation despite, and perhaps even due to, the Israeli presence. Even if this does not constitute an “alliance” within the customary sense of the term. Israel has good reasons to avoid a formal obligation to countries that are embroiled in continuous conflict, whom she also neither asks nor expects to come to her aid during a military conflict. And yet the very existence of such ties still affects the way in which the strategic balance of power in the eastern Mediterranean is perceived, in an era of withdrawal of American commitment and the need to restrain a “Neo-Ottoman” Turkish policy. To this Mediterranean list, one should also add Italy, with whom important relations have been formed in the field of cooperation and procurement (Italian training aircraft for the IAF, in return for advanced intelligence systems for the Italian air force). Hopefully these relations will be preserved and expanded, unless the political array in Rome continues to deteriorate in unforeseen directions. Another Mediterranean (or rather, Adriatic) partner is Croatia, which will purchase previous-generation F-16 planes from Israel and has joined Greece, Cyprus and Israel in planning for emergencies such as forest fires. All this has a direct implication on Israel’s place in wider circles; on her ability to forge links of cooperation which can be attributed to the third category of alliance or collaborative relations. Side by side with the Israeli-Greek-Cypriot triangle, Israel is an important part of the array of countries in and around the Mediterranean basin –including Egypt, Jordan, Tunisia, Algeria, Morocco and Mauritania – with whom NATO has established a fixed framework for dialogue (MD – Mediterranean Dialogue) and a variety of instances of cooperation since the mid-1990s. In the following decade, at the NATO conference in Istanbul, and further in Berlin in 2011, decisions were made which allow each of the seven to expand the scope of cooperation, without being subject to the will of the other six. They can choose from among hundreds of activities listed in the general “menu” (PCM – Partnership Cooperative Menu), which includes joint planning for emergencies and for the war against terror, exercises and training plans; as well as to formulate an individual plan (IPCP – Individual and Partnership Cooperation Program), during which Israel has reached a broad format of cooperation with NATO in a variety of fields. Following the (fragile) resumption of normal relations with Turkey, the barrier placed by Ankara on the strengthening of the Israel-NATO cooperation was mostly removed, and a permanent representative office of Israel was established at the alliance’s headquarters. Unlike some of the other partners, Israel is a contributing and assisting power, not a needy “customer”, on the issues important to the Western allies, including cyber defense, intelligence, counterterrorism and technological and operational solutions. The relationship’s importance will therefore only increase in the foreseeable future. All this is in addition to bilateral cooperation with many of NATO’s members (prominent among these being Canada, as an old friend, and Poland – despite the strain on the relationship due to the Polish Law on Holocaust commemoration); some of which purchase weapons systems from Israel and send special forces units to train in desert conditions. Israeli-German relations are in a unique sub-category. They are historically founded on the concept of Germany’s moral obligation, but also on the US’s desire to avail itself (in the 1950s) of the Federal Republic as an indirect channel for the supply of arms, including tanks. Today Germany fills a unique role, despite some discord on the Palestinian issue, in the supply of submarines (the US does not build conventional submarines) and additional vital systems for the Navy, and in a series of additional fields of cooperation. The way in which Israel is perceived in the regional system, as well as her ability to contribute to the security of her friends facing the common challenges of the 21st century, directly affects her cooperative relationships in more distant arenas as well. 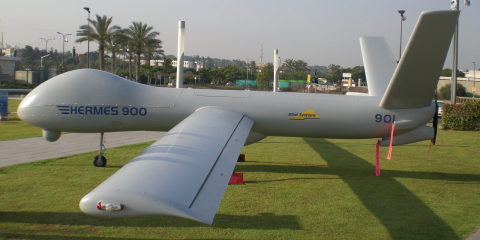 This effect is evident primarily in term of procurement; a highly important issue in and of itself, due to the centrality of Israel’s security industries in the preservation and enhancement of its military capabilities. In some cases, these have developed into a closer association, which could be defined as a kind of strategic partnership. A prominent example of this is the security relations with Singapore, which in the past were played down, but today are candidly acknowledged by the Singaporeans themselves. Significant developments have also been shaping up in recent years in the strategic relations with New Delhi. These have reached a new level ever since the 1999 “Kargil War” between India and Pakistan, during which Israel proved her value as a provider of aid; and more emphatically – since Prime Minister Narendra Modi’s rise to power. Alongside the procurement contracts, the growing kinship between the two countries (despite lingering disputes on the Palestinian Issue and vis-à-vis Iran) is manifested in the common stance against the challenge posed by radical Islamism, with which India as well, like other countries in South and East Asia, has already become acquainted in the form of serious terror attacks. A close relationship has also been formed with Australia, despite the geographic distance; and concurrently, some of the barriers obstructing security cooperation with Japan have been breached. Similar considerations have in recent years led to closer security relations with additional Southeast-Asian countries, such as Vietnam and the Philippines, eager to build up their military capacities. Israel has also brought certain types of military assistance to the table in building new relations with partners in Africa and Latin America. At the outset of the eighth decade of its independence, Israel’s relationship with the United States remain a cornerstone of her grand strategy. Unlike the short-lived episode of Soviet support, and even the much longer “affair” with France, that relationship is based on steadfast foundations that can stand the ravages of time. It relies on a common interest (a struggle against the same enemies), on values which form a bond between the two nations, and on organized political influence by friends of Israel who bring their input to bear in Congress and vis-a-vis the Administration. These bonds are translated both into extensive military aid ($38 billion within the present period of ten years) and into firm political support, including the moving of the embassy to Jerusalem. Still, today the special relationship is no longer the sole component of the growing pattern of cooperative relations. These relations contribute in a variety of ways to the security of the country, as well as to her political standing and economic prosperity. The achievements in this field in recent years are impressive, and indicate important future trends, especially in the eastern Mediterranean, with NATO, and in the Asian arena. However, they also require vigilance against erosion of the relations (and meeting the obligations undertaken by Israel toward these countries), as well as continuous, informed political and diplomatic action at all working levels. The proper and rational management of the relationship with the regional system (and with the Palestinians – when possible, in the face of dramatic provocations) is another factor underpinning Israel’s ability to build bridges. The political and security climate in the region has a direct and ongoing effect on Israel’s international standing and on her ability to deepen her cooperative relationships with countries worldwide. Within this context, the rapprochement with countries in the region – with key Arab countries who share Israel’s concern about Iran, and who welcome the change in US policy – is of growing importance. So is cooperation in the eastern Mediterranean, facing a growing challenge on the part of the current government in Turkey. The Peripheral Alliance against Nasser in the late 1950s has now been superseded by an unwritten partnership with Egypt, Jordan, Saudi Arabia and the UAE, against Iran and against other forces identified with radical Islamist ideas. Israel cannot expect direct aid from these countries – but does not need such aid either. Merely maintaining the relations with these countries benefits her global standing. Preserving the security and stability of these countries is, in itself, considered a paramount national interest. Indirectly, the establishment of these partnerships facilitates the establishment of Israel as a legitimate player, in both security and political aspects, in the eyes of nations who in the past had feared that availing themselves of the rewards that flow from closer association with Israel would come at the cost of general Arab hostility.